style rookie: and so it begins. Somehow, it is already time for the Fall 2011 season so this is a scheduled post as I head to NY. I haven't even looked at some Spring shows! And Pre-Fall! And Couture! There's still a lot of stuff from last season I want to write about! And so, to test the timelessness of these clothes (see how I make myself seem less lazy by making this seem like a clever conceptual endeavor? ), I will continue to write about Spring while Fall is going on. Fashion needs to take a note from Frankie and just relax for like, TWO SECONDS. Meanwhile, this is what I wore to the Hideout thing last week. It was fun! Really fun! At least, as far as I can remember, though it's entirely possible I said some really stupid stuff. 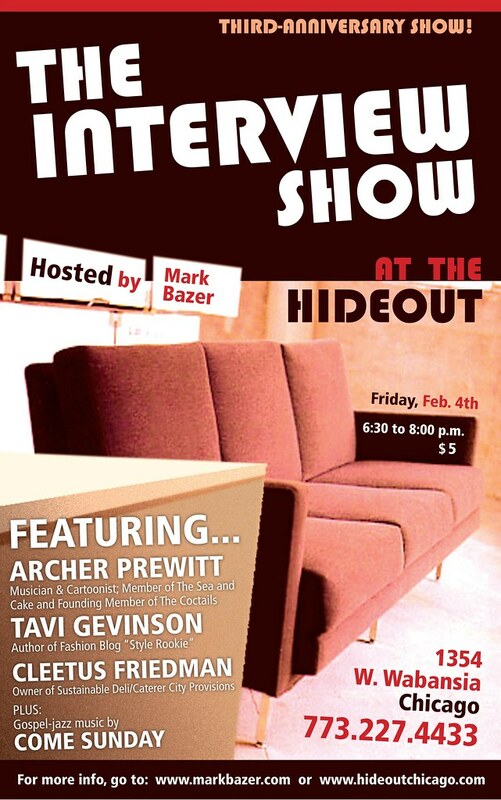 Thanks to the kind folks who came and said hi and stroke up conversations about Suze Rotolo and thrifting! I wanted to be red and graphic-y? This is more a "character" outfit than an interesting printsy layery one. I've been doing more of that kind of dressing lately. 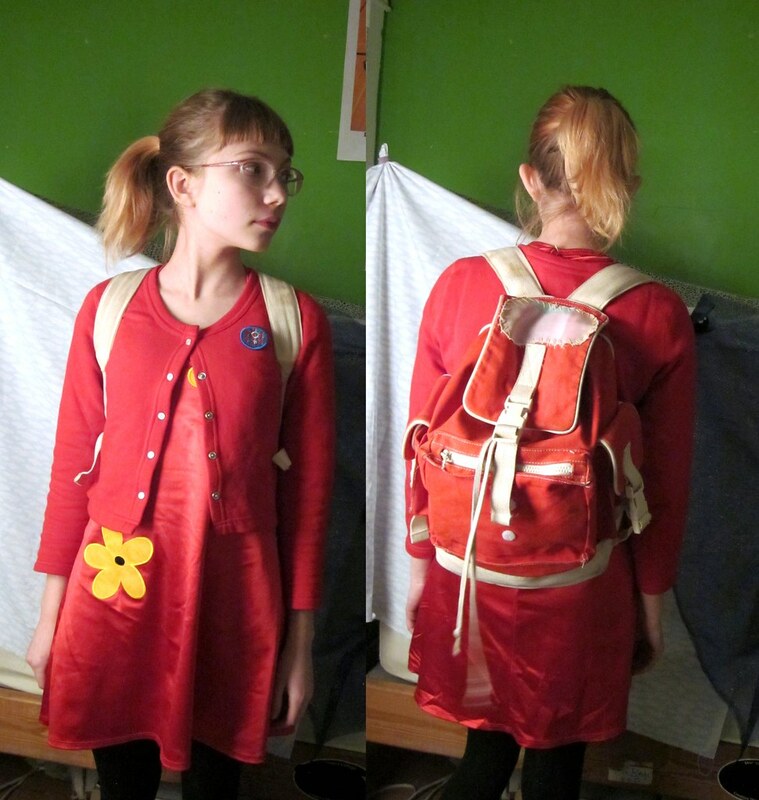 Vintage Betsey Johnson dress, Soft cardigan, backpack from when I was little. 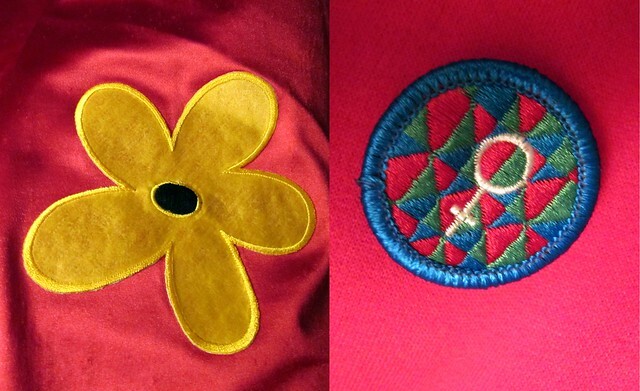 The girl scout patch is from eBay.